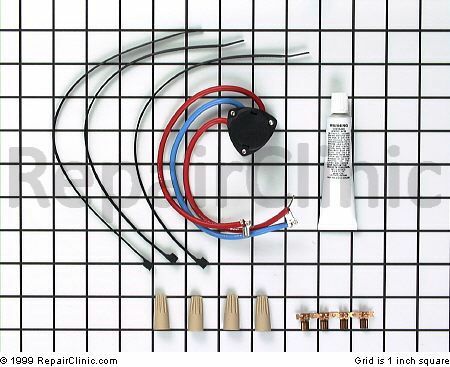 This kit also comes with a white wire tie, which is not shown in the picture. But I only mention this to tell you to ignore it. To install the new relay/overload, just use the black wire ties and gang them together to make the required length to fit on the compressor. Route the wire ties around the front of the relay/overload, not the back. Make it nice n’ snug. And be sure to use a dab of the supplied thermal mastic paste between the relay and the compressor case. Good to go, sailor! This entry was posted in Refrigerator Repair and tagged compressor, refrigerator, relay, Whirlpool on September 9, 2010 by Samurai Appliance Repair Man.